- Bed was very comfortable - Shower was hot with good pressure. There was also a separate bath tub. - Easy to get new towels. - Kitchen was a good size, very functional and had lots of useful equipment. - Parking was available and easy to access. 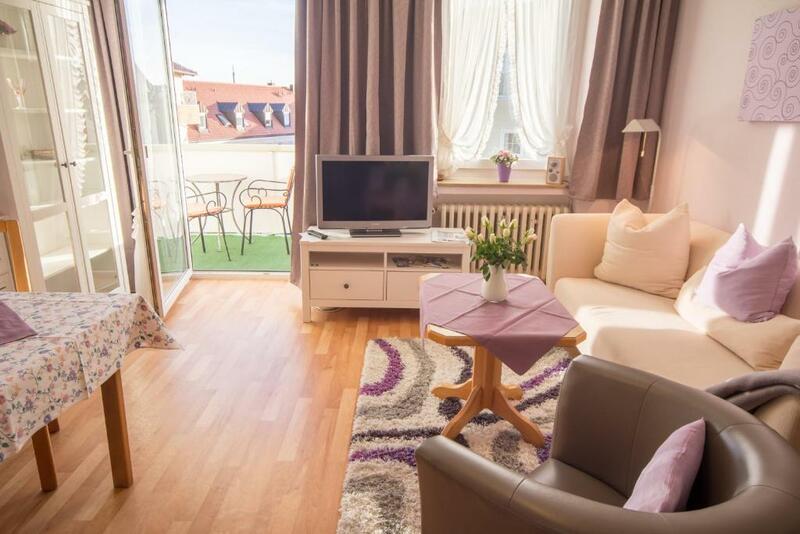 - Location is excellent; right in the middle of a quiet, visually attractive town. - The apartment we had was HUGE and because it was the roof we had three balconies. - The staff are very helpful and friendly. Interacting with them was a great way to start our time in Germany! We felt like home. Very comfortable and quiet in a beautiful town. Mrs. Seemuler is very nice and helpful ensuring all the information we need. Sehr nette Gastgeber. Haus bereits etwas älter, aber alles funktionstüchtig und sauber. Liegt sehr zentral. Wohnung mit genug Platz. Sehr zentral gelegen und super nette Gastgeber. Sehr schöne, geräumige Wohnung mit einem schön großen Badezimmer. Schöne, geräumige Wohnung, sehr sauber. Sehr zentrale Lage. Alles hervorragend. Sehr sauber und super freundliche Gastgeber. Удобно чисто комфортно тихо. Хороший интернет. На кухне все есть. Frühstück lecker , frisch und ab - wechslungsreich !!! 😊 Wohnung eigentlich 'top' und auch die Lage !!! Die Fam. Seemüller sehr nett und stets ansprechbar . Danke ! ! ! Месторасположение. Чистые, уютные апартаменты. Потрясающие хозяйка и хозяин. Lock in a great price for Ferienwohnungen KUR-ECK – rated 9.3 by recent guests! Ferienwohnungen KUR-ECK is located in Bad Wörishofen. Free WiFi is provided. Fitted with a balcony, the units feature a flat-screen TV and a private bathroom with shower. Some units also have a kitchen equipped with a dishwasher. If you would like to discover the area, cycling and hiking are possible nearby. Bad Wörishofen Thermal Spa is 1.3 miles from Ferienwohnungen KUR-ECK, while Allgäu Skyline Park is 2.8 miles away. 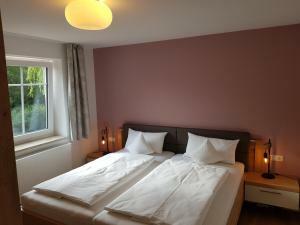 The nearest airport is Memmingen Airport, 26 miles from the accommodation. This property also has one of the top-rated locations in Bad Wörishofen! Guests are happier about it compared to other properties in the area. 뀐 Located in the top-rated area in Bad Wörishofen, this property has an excellent location score of 9.5! 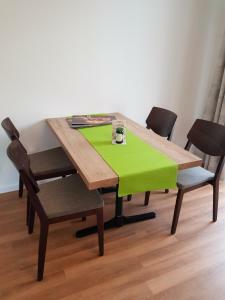 When would you like to stay at Ferienwohnungen KUR-ECK? 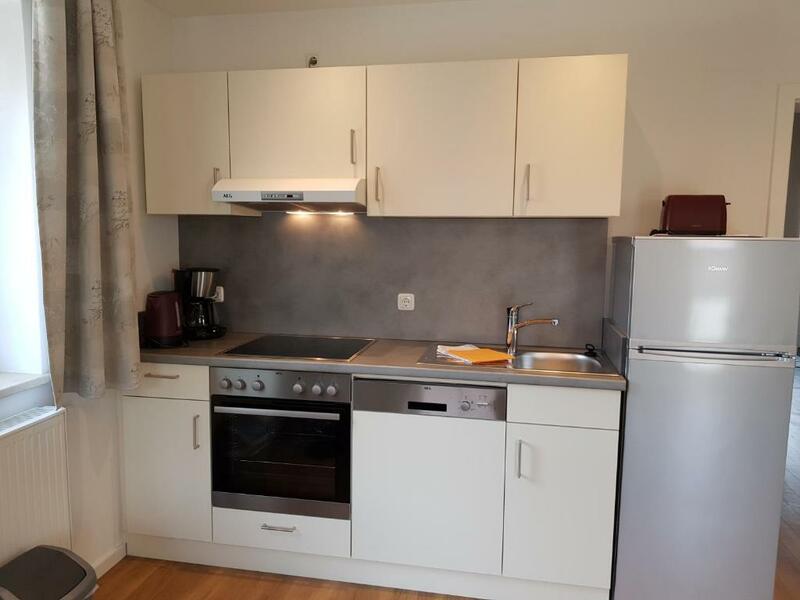 This apartment has air conditioning, electric kettle and microwave. This apartment features a kitchenette, dining area and CD player. This apartment features a sofa, kitchenware and seating area. Ferienwohnungen sind oft in Randgebieten von Städten gelegen oder kleineren Seitenstraßen. Bei uns nicht! Unser Familienbetrieb ist mitten in Bad Wörishofen gelegen, an einem Platz direkt vor dem Kurhaus. Ist es deshalb laut? Nein. Das Haus liegt direkt in der Fußgängerzone und ist somit von Straßenlärm nicht betroffen. House Rules Ferienwohnungen KUR-ECK takes special requests – add in the next step! Please inform Ferienwohnungen KUR-ECK of your expected arrival time in advance. You can use the Special Requests box when booking, or contact the property directly using the contact details in your confirmation. - The door lock isn't the most secure however it isn't a huge issue as the front door to the hotel is kept locked as well. - The internet wasn't working properly during our stay.